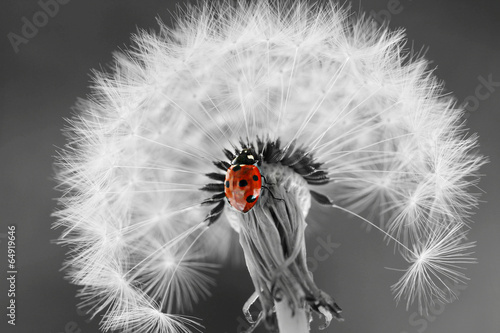 Have you seen a ladybug this year? You can be accompanied by a small sign of happiness during your everyday life. May each day be accented with a pleasant detail. The photo wallpaper depicting a dandelion will be a perfect addition to daily rooms. Make this small accent become a joint for your entire world.